I’ve changed up a bit how I do Project Life this year. Last year I would often find myself struggling to cut down the number of photos from a week enough to fit one spread, or alternately (and much more rarely!) trying to find enough to fill a spread. While my weekly method was good at keeping me up to date, I decided to change it up a bit this year. I am working on a roughly monthly basis, but trying to get my photos printed weekly or fortnightly. I fill spreads based on the story of the photos, not based on dates. So while my album has dividers seperating the months, within that month I have a mix of dates depending on how the photos flow. I’ll confess I am behind – July is still not yet done as I was waiting on some professional photos from an event we attended. I have a CF card in my wallet full of photos to be printed -127, to be exact, that I edited yesterday, covering from mid September to mid October. Those four weeks shouldn’t take too long to pull into place. 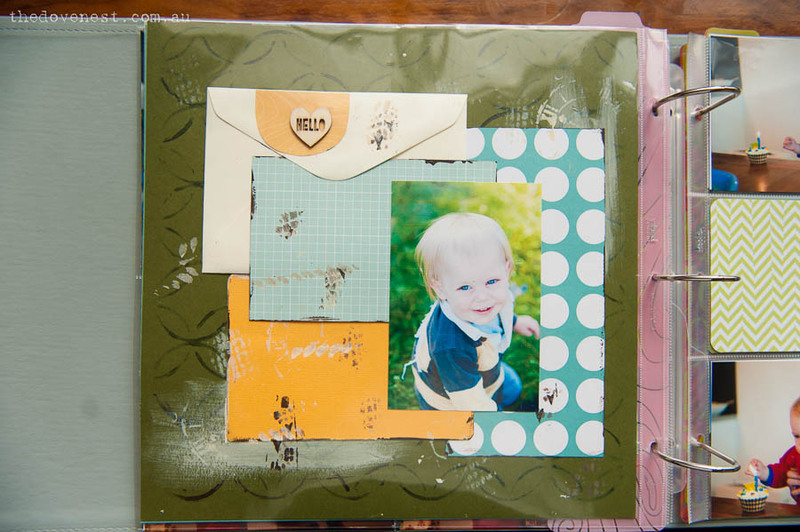 When I don’t have time, I keep it simple – cards, a bit of washi, maybe an embellishment or two (I’m still in love with wood veneers), but when I feel on top of it, I let myself play a bit more. Also new in the last couple of months is a Studio Calico* kit subscription. 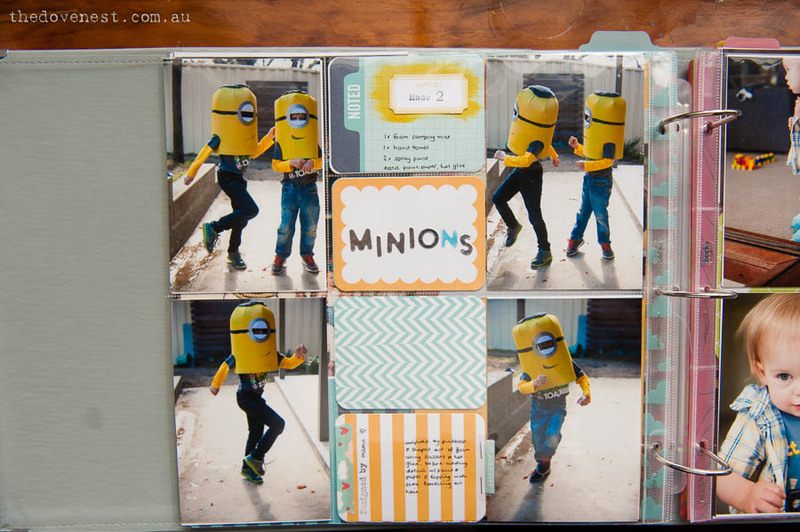 Up until this point, I have been quite OCD about only having the core kit and coordinating supplies in my album, but I am slowly loosening up! Thankfully so far, a lot of the SC kit supplies have coordinated nicely with my Honey edition kit. I will be talking more about the kits and how I use them later in the month, as well as how I plan to PL in 2015, once I have those thoughts together. I have also started adding inserts this year – mainly 6×12″ where there is something I want to feature but doesn’t require a full spread, or to insert some longer journalling (such as in Beetle’s birth spread, where I printed the text from my Facebook announcement to include). This year, I am also including a 12×12 insert for each child with their birthday portraits as well as a letter from me that they can read when they are older (or not, if they are embarrassed by their sappy old mama). 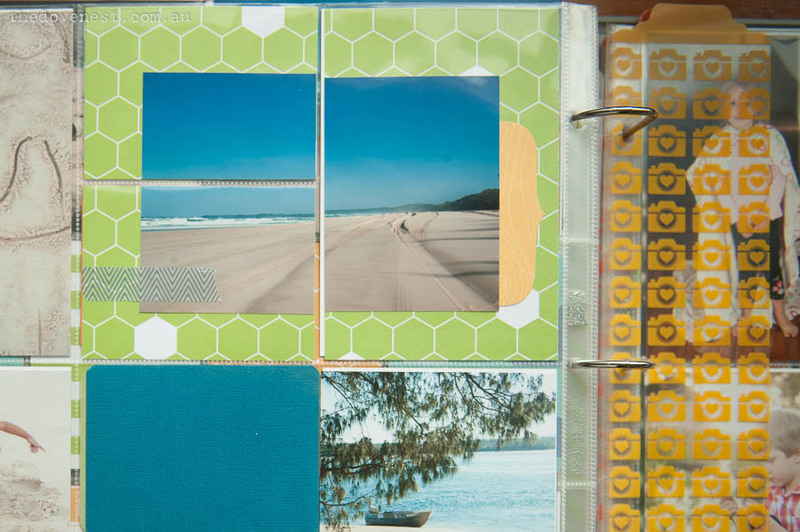 I’m still enjoying this style of memory keeping, even on the weeks when it is plain and I feel my spreads are uninspired, it is still prompting me to get my photos off the computer & into and album, and creating something for us to look back on. 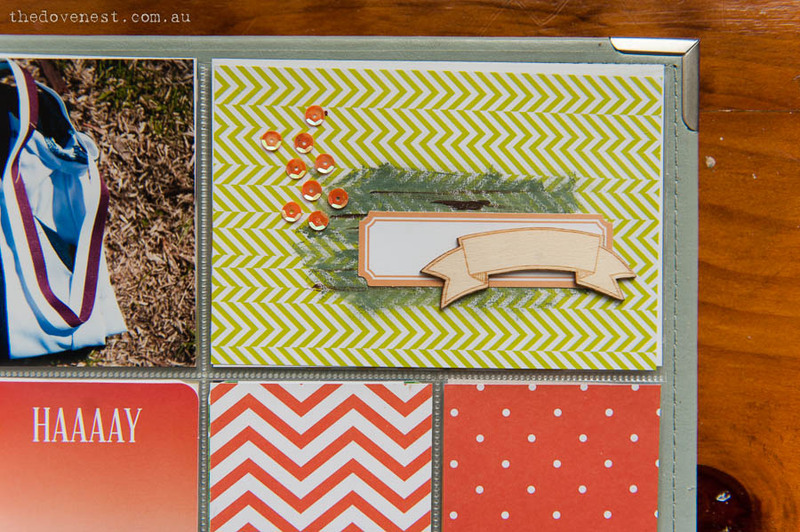 I always love your layouts – and in your case the simplicity just works really well! I find that working out what works in keeping up with PL is an evolving process. It’s good that you are able to work with it and still manage to put out pages that capture your life as it is. Looking forward to seeing what your plans are for next year.